A rare Seattle snow storm forced Seattle Public Schools to cancel school on Safer Internet Day, Tuesday February 5th, so the 200 students slated to participate in the daytime event weren’t able to board the buses and attend. But that didn’t stop ConnectSafely and our partners from holding the event, thanks largely to the quick response by our COO Maureen Kochan, Conference Coordinator Lynn Lonsway and our host, Google Outreach and Education manager, Jeff Dunn. Although modified, the program, which took place at the Google Seattle office, ran as scheduled with about 40 adults and one high school student in attendance along with the students and adults watching the live stream. We will soon release some highlight reels with relevant segments from the program, but you can now watch a replay of the live stream, and a welcome from Washington’s Gov. Jay Inslee. The evening Family Night program went on as scheduled with numerous children and parents in attendance. The daytime program, which was designed mostly for high school students, had to be modified because weather made it impossible for the students and some of the speakers to attend. Instead of the planned keynote speech by March for Our Lives founder Cameron Kasky, we quickly organized an equally compelling panel featuring ConnectSafely’s own Hani Khan and Brittan Heller answering questions from ConnectSafely K-12 Education Director Kerry Gallagher and me. Both Hani and Brittan have experienced severe online harassment and both not only survived their horrific experiences, but went on to be upstanders and leaders, helping untold others overcome their situations. Hani, a Muslim was fired from her job at Hollister, a popular store owned by Abercrombie and Fitch for wearing a hijab (head scarf) and successfully sued her employer for religious discrimination. Brittan had to endure online sexual harassment, which affected her early career as a lawyer, after a would-be suitor defamed her on an online forum aimed at law students and lawyers. She successfully sued the forum to force them to take down the hateful messages. ConnectSafely has created a lesson plan that encourages teachers to have their students learn about these stories and how to be upstanders when they, or their friends, are faced with online hate speech or harassment. Our virtual reality panel moderated by Brittan Heller went as scheduled, with a safety presentation from Dena Feldman of Oculus and a discussion with panelists Eva Hoerth of the Virtual World Society, Joshua Singh of Google and high school student and VR enthusiast Avery Wagar. We hadn’t planned to have a law-enforcement panel but former Missouri Internet Crimes Against Children Commander Joe Laramie and Seattle Police Captain and Washington State ICAC Commander Mike Edwards were present, so we drafted them for an impromptu and very interesting panel on how law enforcement can respond to issues ranging from bullying and minor harassment to serious crimes involving the exploitation of children. As we do every year, we had planned to have a panel with high school students and tech industry executives but, with the students snowed-out, we just had the executives. We missed the student/adult interaction but Michael Covey from Google, Facebook’s Jennifer Hanley Facebook, Microsoft VP and XBox executive Dave McCarthy and Roblox VP Tami Bhaumik did an excellent job answering my questions. Our Family Night event at the Seattle Housing Authority’s New Holly Gathering Hall went on as scheduled, with a good turnout of parents and children, despite inclement weather that included icy roads. This was the first time that ConnectSafely (or as far as we know any US national online safety organization) held an event primarily for low-income and immigrant families. Even before we knew about the snowstorm we were worried about getting a good turnout, but we did, thanks largely to the efforts the Seattle Council PTSA, which — along with National PTA, was instrumental in helping put on the event. The evening program featured children’s book author Trudy Ludwig reading from her book, The Invisible Boy, which shows how small acts of kindness can help children feel included and allow them to flourish. ConnectSafely’s K-12 Education Director, Kerry Gallagher, led the children in an interactive program in which they drew solutions to common internet safety scenarios faced by our youngest users of online services while National PTA board member Collin Robinson, Roblox VP Tami Bhaumik and I held a workshop for the parents. To conclude the evening, the children shared their drawings, and insightful ideas, from the interactive program with the adults in the room and were met with applause. Safer Internet Day 2019 was an event we will never forget. But, like the post office, we wouldn’t let snow, sleet or rain (we had all of that) keep us from carrying this important program. We missed having the high school and middle school students in attendance — they are the heart and soul of our program — but, as CEO of ConnectSafely, I am grateful that the entire ConnectSafely staff, our partners at Google, speakers, vendors and supporters pulled together to turn lemons into lemonade so the program could go on and be available to watch online live and in the future. Please tune-in to SaferInternetDay.us to watch the replay and the soon-to-be-posted highlights. Finally, thanks to our sponsors and partners:Google, Microsoft, Symantec/Lifelock, Facebook, Comcast, Twitter, Trend Micro, Seattle Public Schools, National PTA, National Center for Missing & Exploited Children, Common Sense Media, Committee for Children, Internet Education Foundation, National Cyber Security Alliance, Family Online Safety Institute and the U.S. Department of Homeland Security. 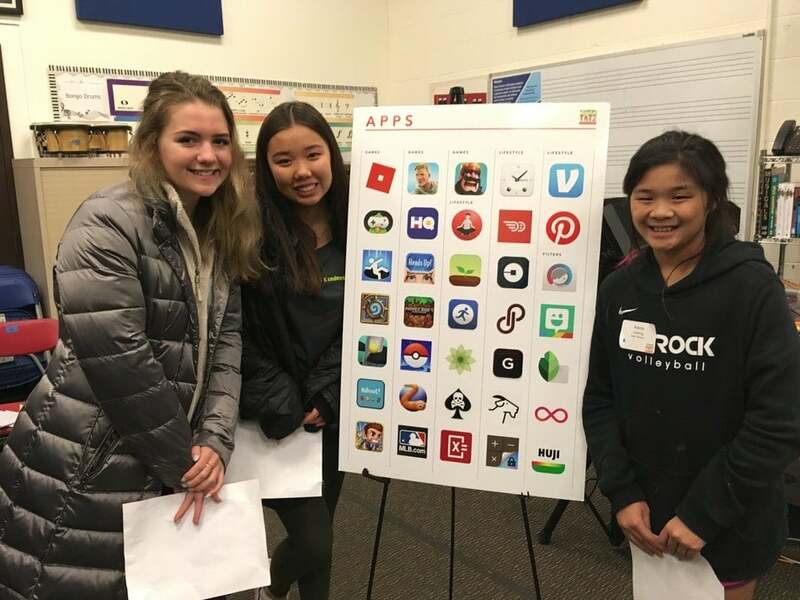 Working with ConnectSafely, My Digital Tat2 and Keys Middle School hosted a SID event in Palo Alto, California that included a student led discussions with parents around current apps and platforms. The students engaged in demonstrations and shared personal experiences. Following the group discussion MDT2 and Keys screened the movie Like, a documentary on the impact of social media. There were 155 students, parents and community members in attendance. Our partner, National PTA, sponsored 25 events at schools across the country and there were many other events sponsored by companies and organizations throughout the U.S., including an event in San Antonio, Texas sponsored by Google.